Women: left on the bench. Today, we will be studying the epitome of ‘a job half done’. Well done you, Hasbro, you managed to sculpt some female football players. One gold star on the chart. So, it’d all be fantastically empowering if there wasn’t one major flaw in your business idea. Apparently, you’re not actually selling the product pictured below. And yes, of course women featured in it. Allow me a minute or so while I go and ferociously bang my head against the nearest solid surface. So, apparently, Hasbro did not find it necessary to run trials for the ‘streaker’ sets, which, realistically, about 3 people would buy. Yet, they are very happy to give away representations of actual professionals for free. So, the way I see it, they must think about 2 women living in the entire world actually know what a football is. The whole thing just feels a bit hollow. 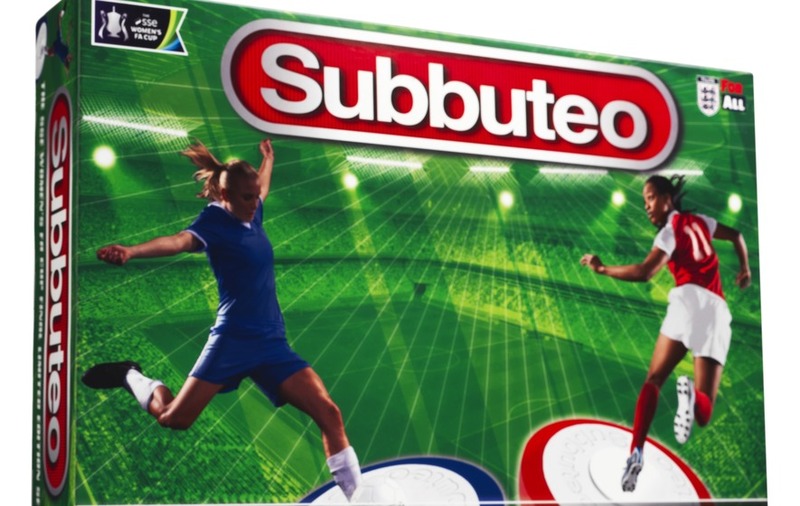 Although this may be considered a great step forward for equality, it feels as if these professional footballers are not actually being represented out of respect or admiration, but so that Hasbro can work out if they will actually profit from this game, before they actually put it up for sale for us two or three women to buy. Spoiler alert: They will profit. For sure. Last season, almost 150,000 women in the UK competed in affiliated league cups and competitions, and that isn’t including the women and girls who merely enjoy a kickabout. I think it’s safe to say Hasbro won’t be struggling when it comes to making money from this game. I think it’s important to note that I am not angry, nor frustrated about the fact there were no female players in the game beforehand; although it would obviously have been fairer if there were. However, in 1947, when the game was made, there probably was a lack of women playing football, so, unfortunately, that’s how it was. The creation of this new game is so clearly not in the name of ‘equality’; there may be a slight trace of good intent behind it, however it should be clear that they are not doing this solely out of the goodness of their hearts. If they had been doing so, the game would be up for sale now. It would not be going through a ‘trial phase’, whereby the company work out how much money they would get. It would be on shop shelves. I fully understand that companies need to make their money; that’s how business works. However, it is not hard to work out that women would be appreciative of such a wonderful game, and that they would not be appreciative of ‘gender equality’ being so clearly used as a way for a company to gain popularity, as it has been in this case. If you’re going to attempt to make progress in the way of equality, you have to put more work in than this. We don’t want halfheartedness. Wise words, Barack. Wise words.